Great philosophy meets powerful biography in this entertaining and immensely readable portrait of mid-20th century Paris and the fascinating characters of Sartre, de Beauvoir, Camus, and their circle, who loved and hated, drank and debated with each other--and forever changed the way we think about thinking. 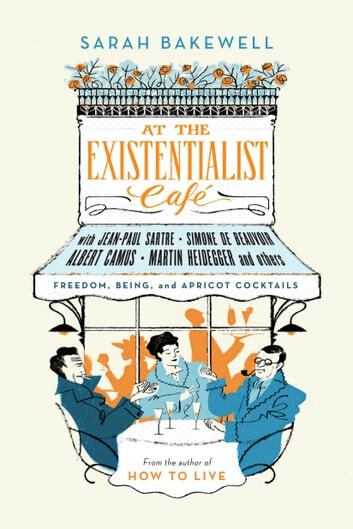 At the Existentialist Café is a thrilling look at the famous group of post-war thinkers who became known as the Existentialists: Sartre, de Beauvoir, Camus, Heidegger, and their circle. Starting with Paris after the devastation of the Second World War, Sarah Bakewell (winner of the National Book Critics Circle Award for her previous book) takes us inside the passionate debates and equally passionate lives of these brilliant, if flawed, characters. 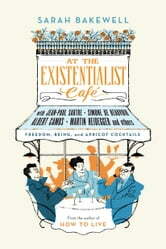 Here is a wonderful, vibrant look at the social, artistic and political currents that shaped the existentialist movement--a mode of thinking and being that, as Bakewell vividly shows, deeply affects us today. Never has the story of this influential group, and especially that of the legendary relationship between Sartre and de Beauvoir, been told with such verve and sweep, weaving personal life with social upheaval and the universal quest for understanding.